If you want to learn to drive in just one or two weeks, our Passport Driving School offers intensive driving courses / intensive driving lessons in Newcastle, Gateshead, North Tyneside & South Shields. We can offer between 3 and 8 hours of concentrated driving lessons, every day, over an agreed number of days - this generally leads to a driving test within a few weeks of learning to drive. If you are unsure of how many lessons you would need, below is a guide to give you an indication. 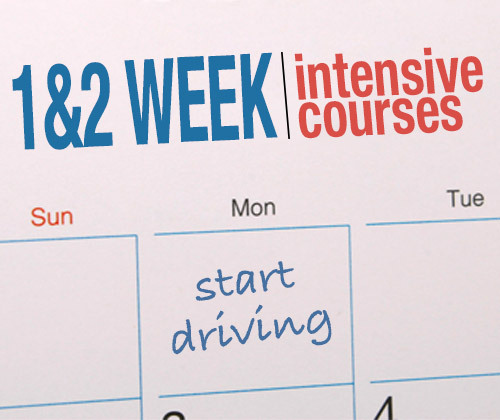 and we can discuss the cost of your Intensive Driving Course Newcastle and arrange start dates and times. We can provide you with free online theory training to help you prepare for your theory test and over 2,500 mock questions and 135 hazard perception clips. If you have your own practical test booked we can provide a lesson only course to get you ready for that date.